Hearing the word ‘Blockchain‘ one who is not familiar with cryptocurrencies may liken it to physical blocks or chains while some of those with very little knowledge about cryptos may feel it’s the same as Bitcoin. Interestingly, nobody knows the person or people who created the blockchain. While credit of both Bitcoin and Blockchain was given to Satoshi Nakamoto, the name is just a pseudonym. 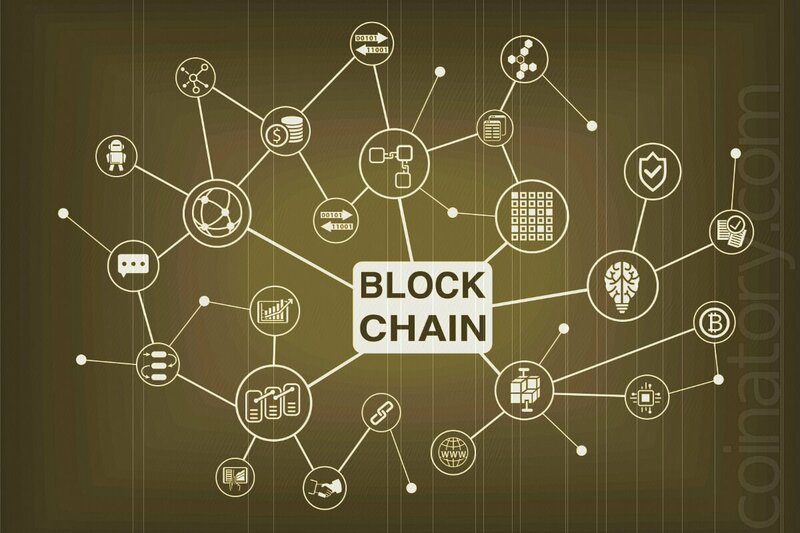 The blockchain is a digital ledger of records that are arranged in bits of data called Blocks, which can be represented in the form of digital assets. In simpler terms, it is a network of computers that share the same history of transactions, in such a way that the list of the transaction is held on every computer, and every transaction gets authorized by every computer so that it is constantly updating itself. The blockchain is the technology that powers cryptocurrencies like Bitcoin, Ethereum, and others. A network of ‘nodes’ makes up the blockchain. A Node is a computer connected to the blockchain network using a client that performs the task of validating transactions. Blockchain was first conceptualized by Satoshi Nakamoto in 2008 (Wikipedia). The following year, it was executed as a main component of bitcoin, where it was used as the public ledger for all the transactions on the network. The words block and chain were used separately in Satoshi Nakamoto’s original work but, by 2016, they eventually used a single word, blockchain. Through the application of blockchain technology to bitcoin, it became the first cryptocurrency to solve the problem of double-spending without the need of a trusted authority like a third party in a transaction. In August 2014, the bitcoin blockchain file that contains all the transactions that have occurred on the network was 20GB (gigabyte), and in January 2017, it has grown to 100GB in size. The blockchain is like a spreadsheet that is duplicated thousands of times across a network of computers, and it is updated continuously. It makes sense that the only way to protect an important document between two parties is to trust a central authority like a bank or a credit card company. However, blockchain has a technology that securely keeps such document safe thereby eliminating the central authority through a system that urges ‘miners’ to do what is right. The miners keep all the records of transaction that have occurred in the cryptocurrency network within a stipulated period of time. The miners then go into some sort of competition that a winner is determined through two circumstances. i. The miner who has the most common version of the blockchain. ii. The first miner who completely solves a complex mathematical puzzle. The miner that emerges victorious creates a new block with all the new transaction. The other miners, in turn, update their blockchain files to the latest version created by the winner and the winner then gets a reward. These are basically automated contracts and are self-executing. It does not need a third party like banks to work. Contracts execute themselves after all the agreements are met. Blockchain uses cryptography and encodes the transaction in such a way that one cannot see exactly how the transaction was done but will only be aware that the transaction is complete. Through the automation of the process involved in blockchain as opposed to the traditional way of storing ledgers of transactions, transactions become faster and more efficient. For every business, reducing cost is very important. With blockchain, you don’t need as many third parties to make guarantees because it doesn’t matter if you can trust your trading partner, instead, you just have to trust the data on the blockchain. Every node runs the blockchain so as to maintain consensus across the blockchain. This gives an extreme level of fault tolerance, zero downtime and also makes all the data stored on the blockchain forever unchangeable. When each node repeats a task, it burns a lot of time and electricity. Blockchain technology needs nodes to run, but as many networks are new, they lack the number of nodes that will enable widespread usage. Each transaction added to the chain increases the size of the database, as each node has to maintain a chain in order to run. When nodes change their software, there is a tendency for a ”fork” in the chain. Nodes operating the new software will not accept the same transaction as nodes operating the old one. The blockchain is a distributed database that keeps an expanding ledger and records. The ledger is encoded and securely protects it against any form of tampering, revision, and deletion. The importance of blockchain technology to serve as the powerhouse of cryptocurrencies cannot be overemphasized because it has a lot of advantages and it will only get better in the future. The mixture of transactions, decentralization of data in the ledger and blocks provide enormous opportunities for cryptocurrencies! But guess what? Blockchain can also be used in any industry aside cryptocurrencies, from a grocery store to the election process to coffee production and distribution. As long as there is data to store, the blockchain is useful.